Would you like a London Mission Collective speaker to come and share at your church? We love to visit London churches. It is our privilege to share with the good news stories of what God is doing across London, preach on what we feel God is saying to the church in terms of mission. If you would like a London Mission Collective speaker to come to your church, please request a speaker using the form below. 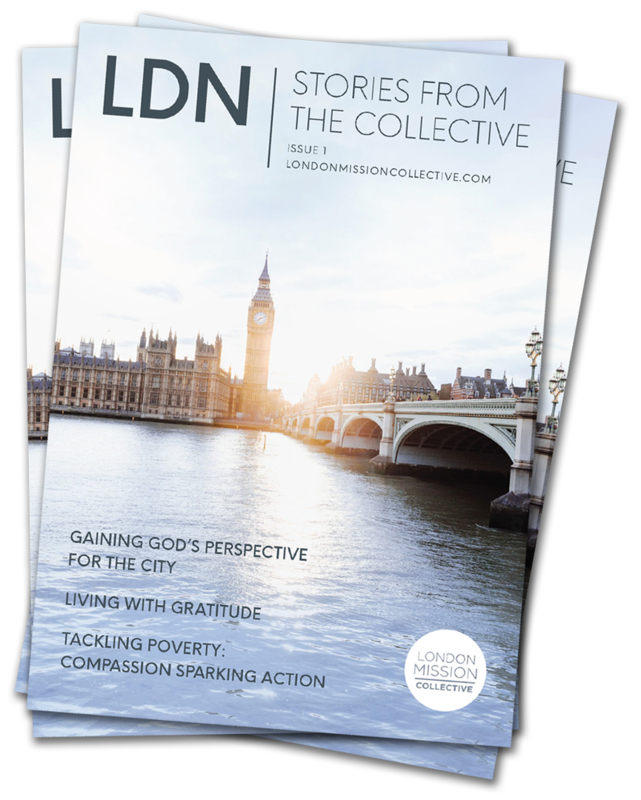 Want some of the LDN magazine for your church or group of churches? Packed full of stories of what God is doing across the capital, these magazines are designed to enthuse congregations and encourage us all in sharing Jesus. Email your request here with names and address and number of copies you would like. The magazines will be sent out for free but we would appreciate a gift towards the work of the Collective here. The London Mission Collective is a developing family of organisations with a passion to join God in His mission across London. The Mission Collective’s people are practitioners with a passion to serve, encourage and equip others to reach the city for Christ. Our aim is to resource leaders and churches in mission across London. Our hope is to provide people with the tools and relationships they need to serve their local community with the Gospel and introduce people to Jesus. We are passionate about sharing Jesus in word and deed. We are committed to working together in partnership. Over the last 20 years there have been a number of significant city wide events such as Soul in the City, The Global Day of Prayer, Pentecost Festival, More than Gold, Crossing London and Just One to name a few! On the back of Crossing London, some key relationship had been built across organisations and church leaders and it was felt important to maintain these relationship rather than having to re-build them every time something significant is planned for the city. The London Mission Collective is the hub around which these collaborative relationships are maintained. These events all have a mission focus. Please note that they are not all co-ordinated by the London Mission Collective and therefore do not necessarily express the views of the Collective.